All of us want the best for our babies. And for many of us, that means wearing them close our hearts and caring for their delicate skin with truly natural baby care products. So I’m pleased to be working with a group of fabulous bloggers to bring you the Wear & Care Baby Giveaway Event, hosted by Happy Mothering and the Green Moms Network, and sponsored by Onya Baby and Earth Mama Angel Baby! As part of this event, we’re giving away two amazing prizes to help one of our readers safely wear and care for your baby or toddler! Onya Baby Carrier of your choice ($149 value)! Onya Baby carriers have plenty of useful features, like two zippered pockets, a tuck-away sleep hood, toy loops, a d-ring for your key clip and a high body for support and backwards/sideways lean-control for an older baby. One of the most unique features of Onya Baby carriers is the integrated chair harness, which enables you to convert pretty much any adult chair into a seat for your baby. Onya Baby carriers are designed for babies who are 15 pounds and 3 months or older up to a maximum weight of 45 pounds. Read more about the Onya Baby Outback Carrier on Happy Mothering. The Earth Mama Angel Baby Full Size Birth & Baby Kit provides everything you need to naturally and safely care for baby and for you. Read more about this Earth Mama Angel Baby Gift Set on Happy Mothering. One of our fabulous readers will win both prizes – a combined value of $240! To enter, please complete the Raffleopter form below. The sponsors provided Happy Mothering with free samples of these products to review, and we were under no obligation to review them if we so chose. Nor were we under any obligation to write a positive review or sponsor a product giveaway in return for the free product. Facebook is in no way affiliated with this contest, the Wear & Care Baby Giveaway Event, its hosts, its sponsors or its participating bloggers. Please note that Happy Mothering, Wear & Care Baby Event and the participating bloggers are not responsible for sponsors that do not fulfill their prizes. We have represented each sponsor with the expectation they will fulfill their prize and in a timely manner. Happy Mothering will contact the sponsor regarding your prize(s). The sponsors, in most cases, are shipping their items to you directly. Happy Mothering will make every effort to assist you obtaining your prize. If there is an issue with a sponsor, please notify Happy Mothering within 4-6 weeks for assistance, after that we may be unable to assist you. 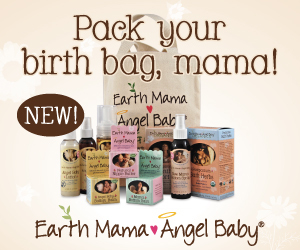 I would love to try earth mama angel baby! I hope to win!! Thanks! !